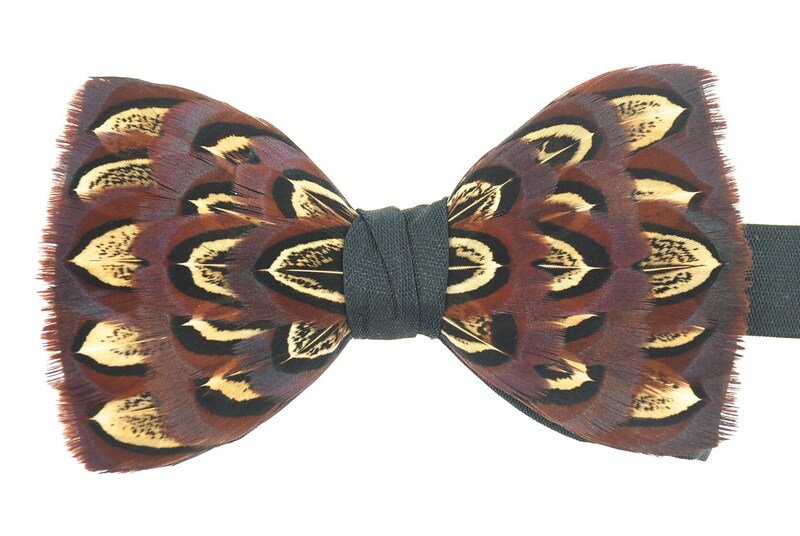 CHELSEA Pheasant Feather Bow Tie. Chelsea might currently be most well known for its exclusivity and affluence, but it also has a fascinating bohemian history of art, culture, innovation and influence. 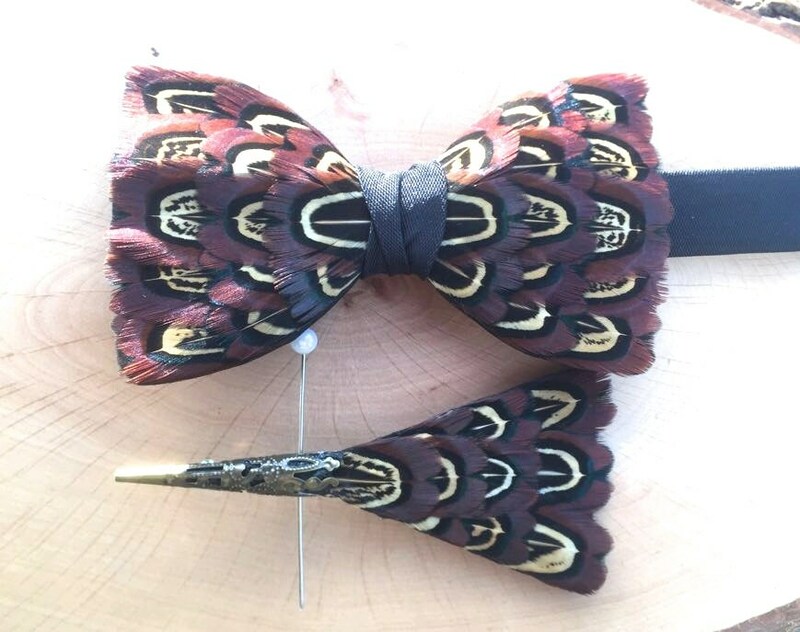 Like Chelsea, there is more to this stunning classic feather bow tie and lapel pin set design than initially meets the eye. 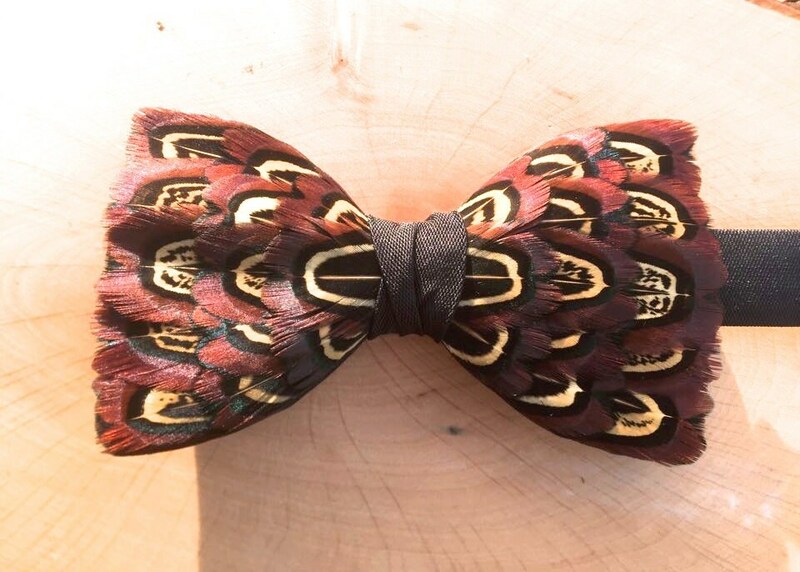 Expertly designed by plumasier Tracey Telford, the rich chocolate brown hues of the genuine, natural, pheasant feathers transform in sunlight to beautiful eye catching shades of iridescent purple. If you’re drawn to classic style with that something extra, then this design is for you. As a nod to Chelsea’s fascinating history as temporary home to The Raw Silk Undertaking, a home-grown silk manufacturer and provider of garment material for Royalty in the 1700’s, this Chelsea design has been set on a quality black silk base. 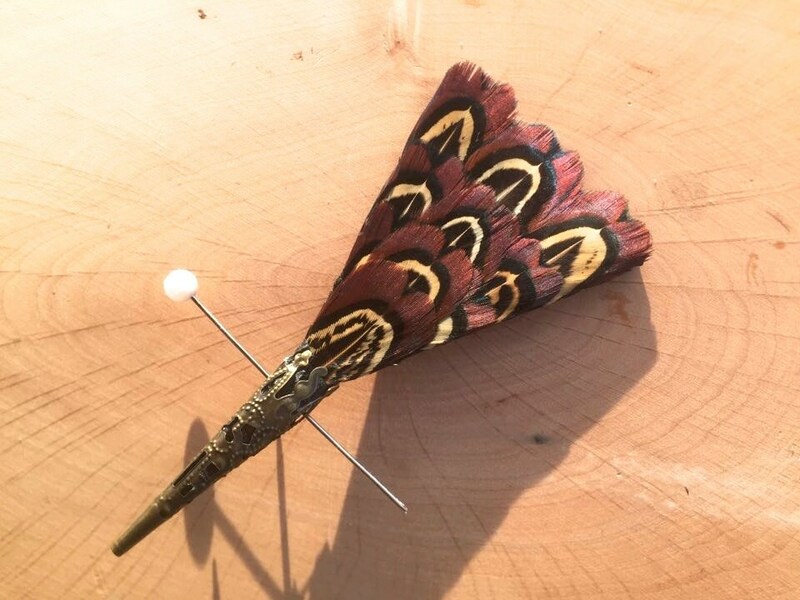 Being individually hand made, however, it can also be made available on quality satin. A range of others base colours can also be selected, to align with your preferred design aesthetic. 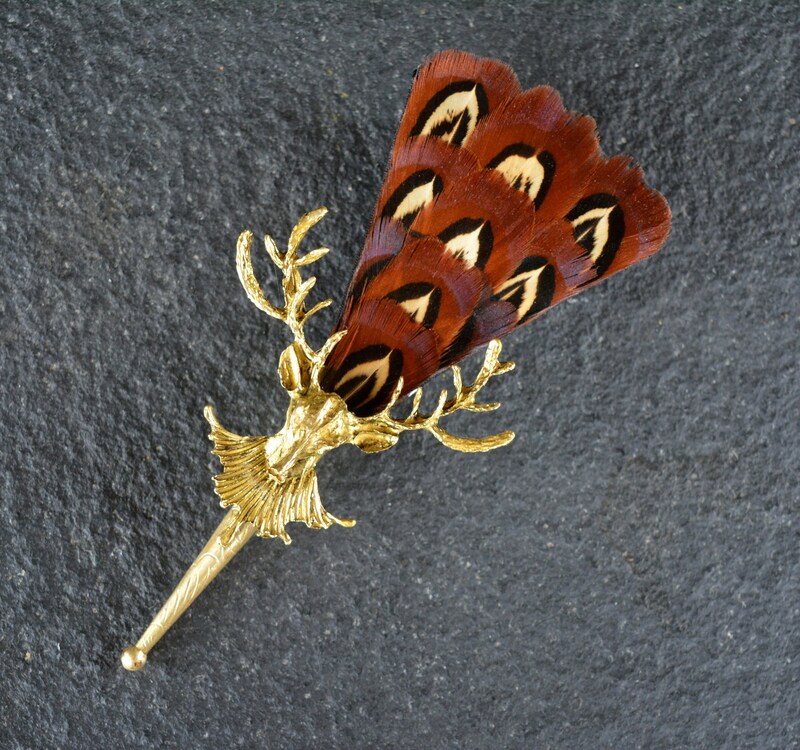 The metal base of the lapel pin is available in a choice of either silver, gold or NEW metallic rose gold colours.